"Dr Lisker is always friendly and informative." "dr lister is an excellent physician"
"Dr. Lisker is my new favorite doctor! Calm, reassuring, not pedantic! Easy to talk to." "Dr Lisker took his time and I was very impressed with our conversation. A wonderful doctor." "Dr Lisker was very personable and thorough very happy with his services"
"everything is very good with the Northwell System"
"An amazing doctor. Soft spoken and intelligent. Will use again!! " "I have confidence in Dr. Lisker." "Very satisfied with Dr. Lisker." "It is a pleasure to have Dr. Lisker as my cardiologist. I have my greatest confidence in his diagnostic. He does not take advantage of Medicare as some others cardiologists prescribing unnecessary tests to scare the patient and increase the bill. I was so tense and nervous when I was going to my previous cardiologist. It is so hard to find the right doctor." "Dr. Lisker was excellent!! He spent ample amount of time with me & answered all questions. He was very clear & kind & showed much concern for my well being. I can't say enough about how wonderful he was!" "Dr. Lisker came highly recommended and he did prove that was absolutely correct! He showed patience, he is compassionate and took the time to explain in detail - even in lay terms that my elder parents can understand. Thanks so much Dr. Lisker!" "Took the time to listen. Really let me explain myself and gave me all the time I needed - so sweet." "To ease concerns about test results called at night with results not once but twice." "Dr. Jay Lisker can get you to feel better, even when you feel like crap. He listens, and is caring, a great doctor with a sense of humor, which I like in a doctor. Laughter is the best medicine." "Dr. Lisker absolutely superb. Great listened, knowledgeable thorough, gentle, competent." "Dr. Lisker is a top doctor with concerns for myself & wife." "Dr. Lisker is an outstanding physician, caring, concerned with my health, answers my questions. He is the best physician I have ever had in my life and I am 92 years old." 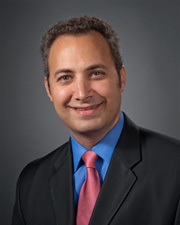 "Dr. Lisker is a dedicated and very professional individual with a great bedside manner. He is easy to talk to, listens to your concerns and listens to and answers all questions clearly. He explains all options in a clear and complete manner." "DR. LISKER IS AN AMAZING PHYSICIAN. HE SHOWS GENUINE CONCERN FOR MY MEDICAL ISSUES AND HE IS VERY THOROUGH. HE SPENT A SUFFICIENT AMOUNT OF TIME WITH ME AND ANSWERED ALL OF MY QUESTIONS. I WOULD ABSOLUTELY RECOMMEND HIM TO OTHERS." "I have, and continue to recommend Dr. Lisker -"
"he always answers all my questions and never rushes me"
"Excellent communicator - knowledgeable, kind, reassuring - A+." "dr Lisker is very friendly and competent does not rush the exam"
"Dr. Lisker is terrific - competent, concerned, kind & personable. I have already recommended him often." "Excellent physician, very knowledgeable treats patient with care & respect & puts patient at ease - excellent rapport with patient!" "Dr Lisker is a excellent provider. Very personal"
"Dr. Lisker suggested some basic tests to verify I had no issue, but offered much reassurance that he felt I had no serious problem." "great visit i have to go back"
"Since the first time I met him, in North Shore Hospital, Manhasset. I knew if I listened to him, he could fix my heart. He said give me a year, so I did. He was right. I know it will never be perfect again, but that comes with age. I always say he's the best if anyone needs a cardiologist ! Dr. Neil Stein and Dr. David Stein are good, so Is Dr. Crammer in the same practice." "Dr. Lisker is an excellent physician -- intelligent, kind and caring. I have recommended him to friends and family and will continue to do so." "Dr Lisker is a great doctor, always takes the time to explain things in a way that you can understand"
"Dr. Jay Lisker is a very committed, and kind, smart doctor. He always calls me with test result's. And when I call him he takes my call, if not with a patient, other wise I know he will always call me later in the day. He even does my refills for my medicine when I call him. He's the best. Would highly recommend him!!!!." "Dr. was not rushed during examination - a plus for him! #10. I ALWAYS DO." "In addition to myself, my wife and other family members see Dr. Lisker. He is the consummate professional and has an excellent bedside manner. He saved my life ~ nine years ago. Needless to say Dr. Lisker is held with the highest esteem in my family." "I recommending very good provider." "Overall - Excellent - very professional." "Never had a bad experience." "Dr. Lisker spent as much time as needed to get me through visit -"
"I have recommended a friend, and he is quite pleased." "We are thankful for all that the provider is doing for us he is very helpful understanding and treat us very good." "I like him very much." "I have already recommended Dr. Lisker to others." "Dr Lisker answered all of my questions and explained things to me in a way that I was able to understand my condition. He did not make me feel rushed at all, and he is very polite and friendly." "Dr. Jay Lisker showed compassion, very professional answered all questions to my satisfaction." "He is a good doctor. #1. Dr Lisker. #7. Understandable. #8. 35 mins. #9. Excellent work." "Dr. Lisker PERSONALLY called me at my home twice regarding 2 matters. Very impressive!" "I just love him a great doctor." "I found out a friend's brother is also a patient of Dr. Lisker and he speaks highly of Dr. Lisker." "Very good, very knowledgeable, very friendly." "Provider eased right through the visit confidently." "My provider is very kind, professional & understanding of my needs & medical concerns. I am very happy & satisfied with his services!!" "There should also be an "excellent" for all questions." "Very happy with Dr. Lisker." "Very compassionate, kind, approachable, patient, knowledgeable! Will definitely recommend!" "Dr. Jay Lisker is an EXCELLENT doctor." "Dr. Lisker takes the time to explain everything makes you feel like you're his only patient."